Our First Showdown - Split Pot! 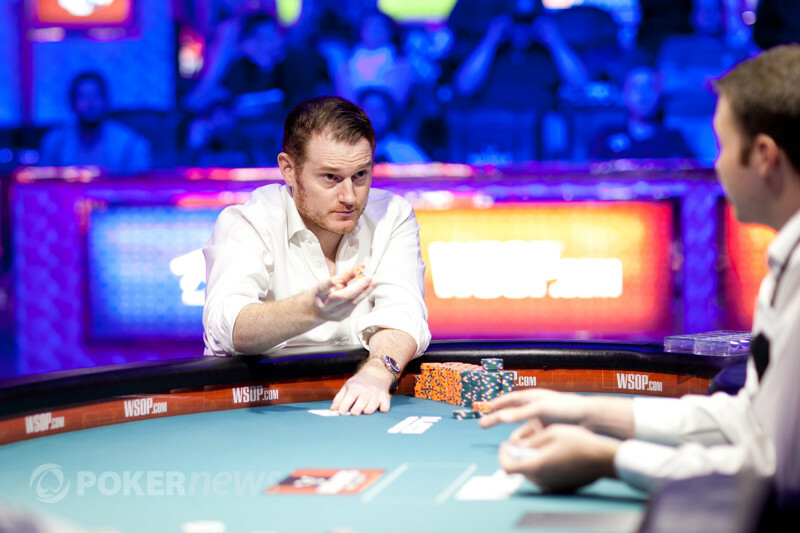 Andy Frankenberger raised to 200,000 and Phil Ivey made the call. The flop was and both players checked. The turn card was the and Frankenberger bet 100,000 to win the pot. Frankenberger raised to 250,000 and Ivey made the call. 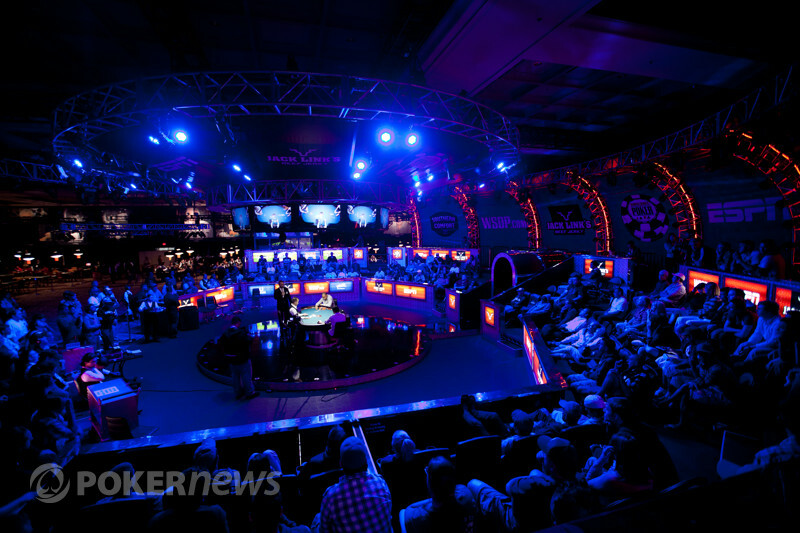 The pair shared a flop of , Ivey checked and Frankenberger bet 250,000. Back to Ivey and he reached for raising chips. He pulled out 600,000 and pushed them over the line, Frankenberger moved all-in and Ivey called. Oh the drama! Split pot! 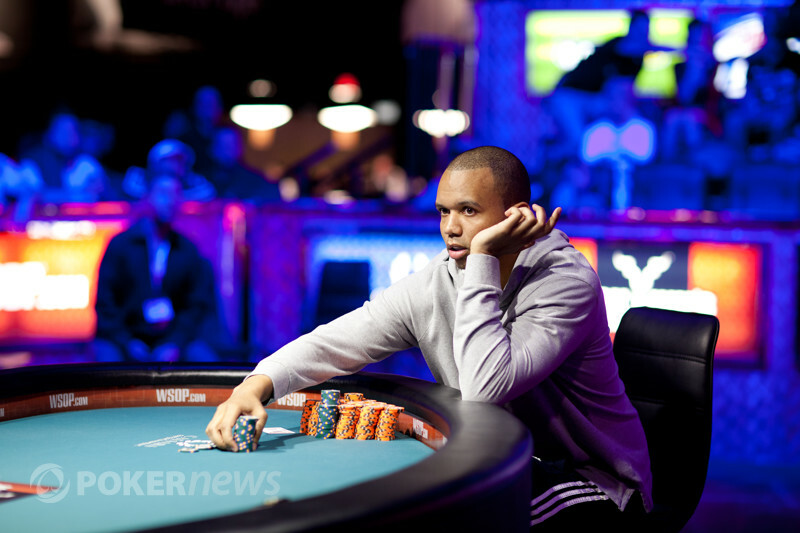 Andy Frankenberger called from the button, Phil Ivey made it 300,000 and Frankenberger folded. Ivey called on the button and Frankenberger checked. The flop was , Frankenberger checked, Ivey bet 100,000 and Frankenberger folded. Andy Frankenberger raised to 200,000 and Phil Ivey called. The flop was , Ivey checked and Frankenberger checked. The turn card was the and this time Ivey bet 300,000 and Frankenberger folded. 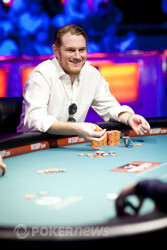 Andy Frankenberger raised to 200,000, Phil Ivey raised to 500,000 and Frankenberger folded. Andy Frankenberger made it 200,000, Phil Ivey raised to 500,000, Frankenberger raised 'pot' to 1,500,000 and Ivey thought for a few minutes before releasing his hand. Ali Eslami has been an amazing competitor in this event. He has had spectators and players smiling alike but his dream has ended in third place. The money went into the middle with Phil Ivey holding and Ali Eslami holding . The board ran out and Eslami was out. 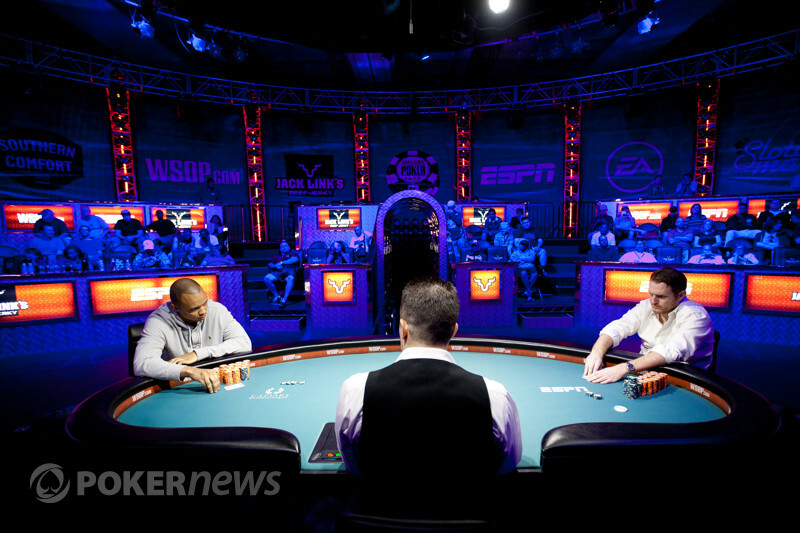 Andy Frankenberger and Phil Ivey will battle for the bracelet. 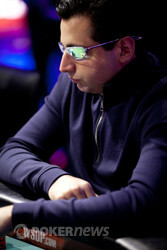 Ali Eslami moved all-in for 250,000 in the small blind and Phil Ivey called in the big blind. Eslami turned over and Ivey showed . The board ran out and Eslami doubled up. Andy Frankenberger raised to 200,000 in the small blind, Ali Eslami raised to 550,000 in the big blind and Frankenberger thought for a considerable time before betting 'pot'. This put Frankenberger all-in and Eslami called. So an absolute cooler of a hand at this stage. Ali Eslami called in the small blind and Phil Ivey checked from the big. The flop was , Eslami checked, Ivey bet 100,000 and Eslami called. The turn was the and both players this time checked. The river card was the and Eslami took the pot with for ace-high. 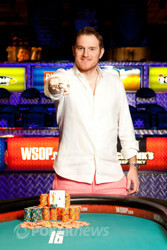 Ivey bet 250,000 from the small blind, Andy Frankenberger folded in the big blind and Ivey showed . 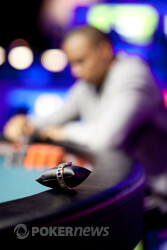 Phil Ivey raised to 250,000 from the small blind and Andy Frankenberger released his hand from the big blind. Phil Ivey raised to 200,000 on the button and Ali Eslami called in the big blind. The flop was a clubby looking , Eslami checked, Ivey bet 200,000 and Eslami folded.